Public Art, Peenya Metro Station, Bengaluru, India by Artist / Designer Natasha Sharma. Derived from M. C. Esher’s work ‘Relativity’, it creates the effect of people walking in a loop, metaphorically expressing the monotony that Peenya as a place held. A site specific installation, this realized it self as a piece of impact and illusion on site with play for the commuters. Movement of commuters can be suspended through changes in his or her perception. 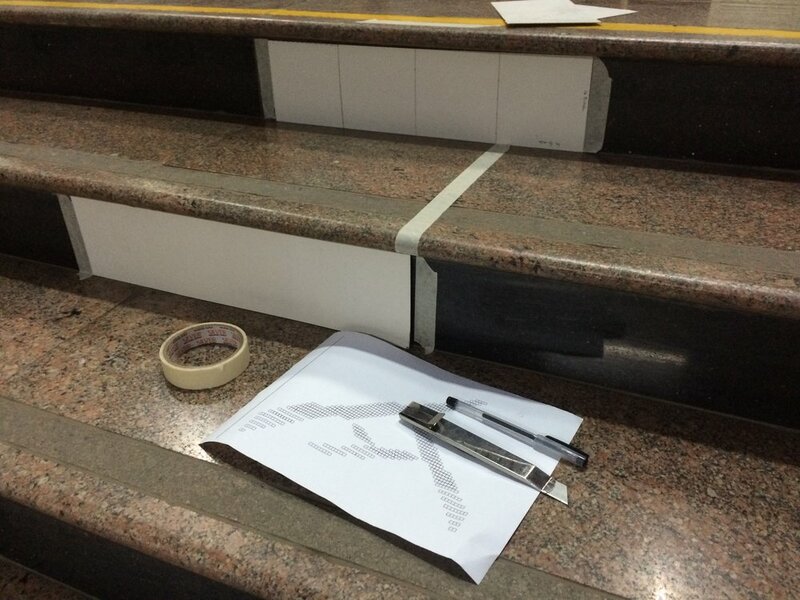 The concept involved tracing the most common path commuters take to walk up and down the main stairway at the station. 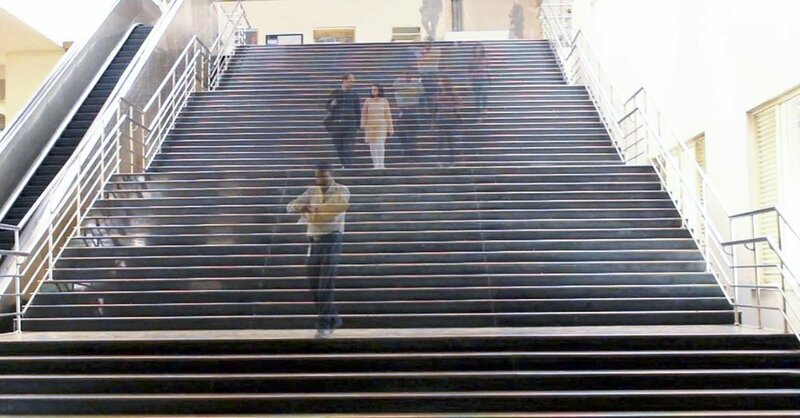 Using mirrors as a material and by placing them on the vertical surfaces of the steps, commuters walking down the stairs unwittingly follow this pathway of mirrors, while those walking up the stairs get to witness this subtle reflection of their own in a public space.